The Plug III‘s simplicity is outstanding. Unique is the complete integration of the entire electronics, into the TopCap. The electronics are encapsulated with a sealing liquid in a housing completely made from aluminium to protect it from humidity and external impacts in the best possible way. The Plug III comes with the PAT II technology as a standard. The next generation PAT II technology is specifically made for riders who travel with medium or lower speed and serves now riders who ride fast at high speeds. Better efficiency delivers already at about 12 km/h the full USB power which allows you to operate many devices with an integrated battery directly from the Plug III. 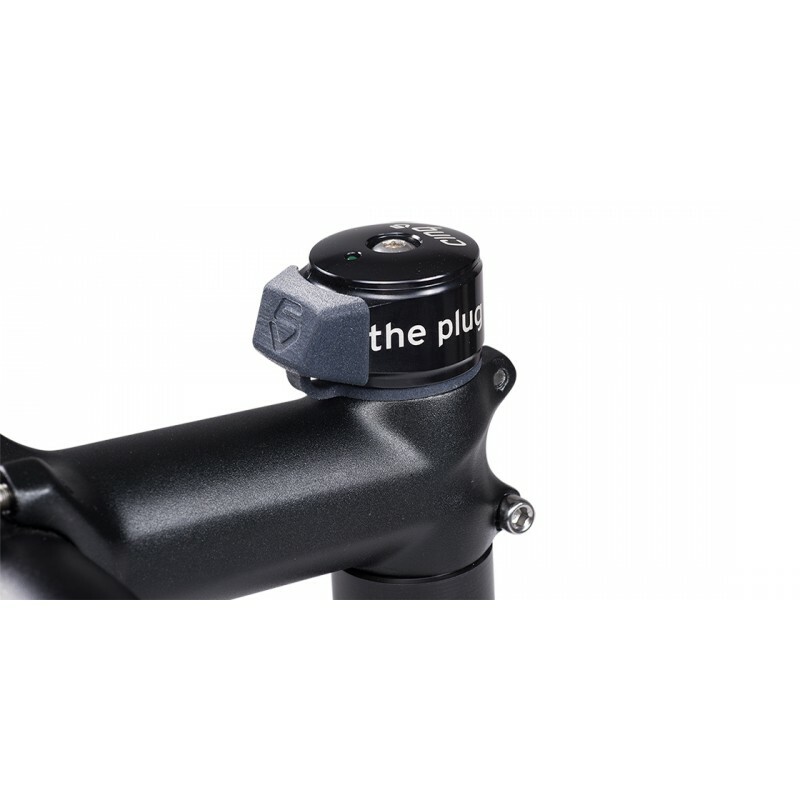 The PAT II technology does not change the appearance of the Plug III as it is hidden within the head tube cartridge. The PAT II technology can also be retrofitted to any Plug II. The performance of the new „The Plug III“ has been improved mainly in the low and very high-speed ranges. Meets USB specification: The Plug III converts power from an existing dynamo hub into USB 5V standard. Tough 6061 aluminium housing, corrosion-resistant: The tough housing does not only look great, but also withstands serious impacts. With everything in a simple TopCap installation becomes a piece of cake – just connect the cable with the USB-TopCap and the dynamo hub – it is that simple!